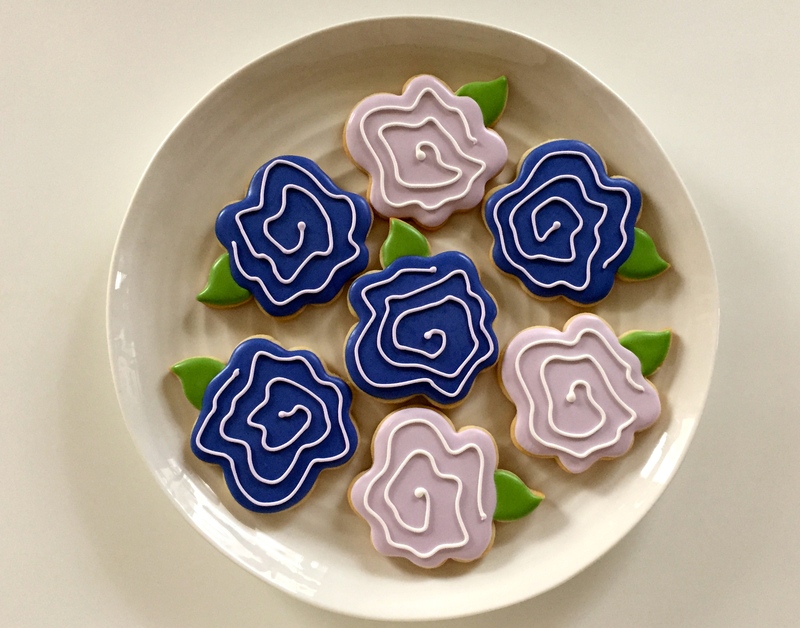 When my client sent me an image from Sweet Sugarbelle’s blog and said that she wanted those specific cookies I said..sure! 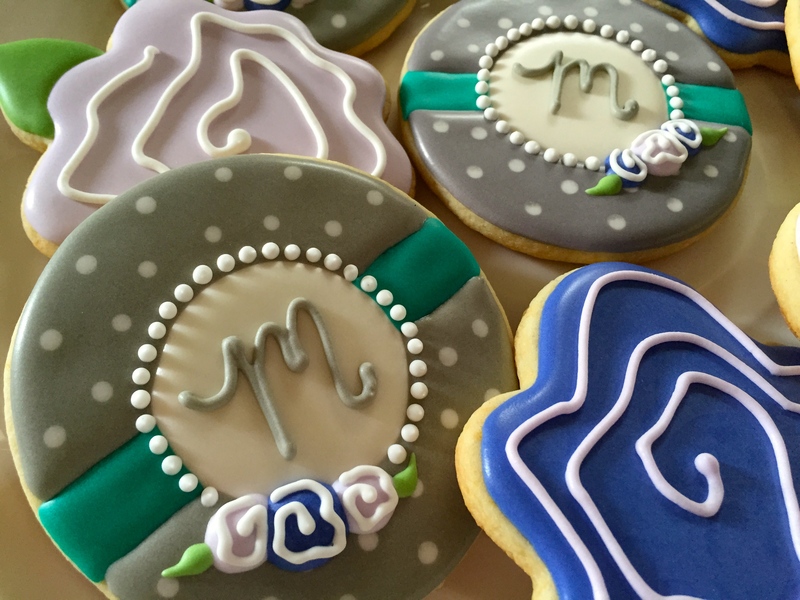 Sweet Sugarbelle is an incredible cookie artist, so it was with no small amount of intimidation that I approached these cookies. 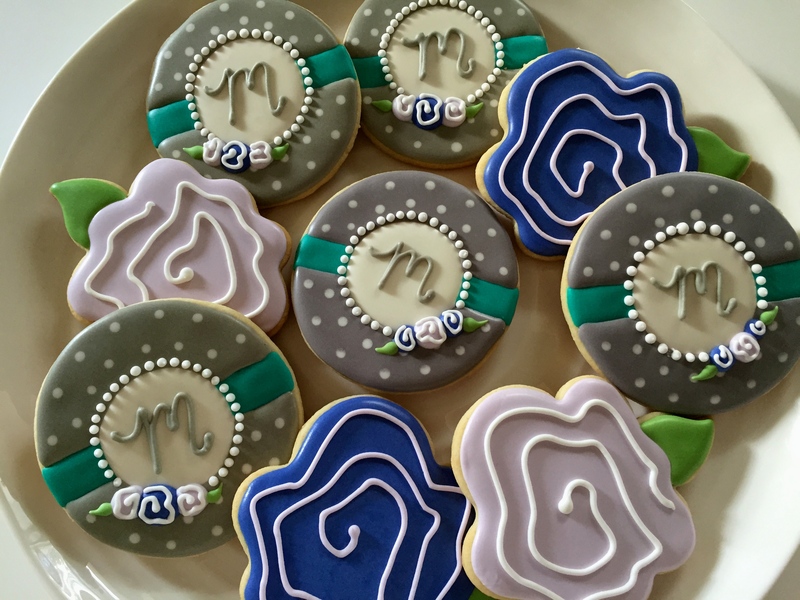 I bought the rose cutter from Whisked Away Cutters and set out to plan how I could make the monogram rounds as close to the originals as possible. She also asked for a particular color palette, swatches included! I enjoyed mixing these beautiful purples and turquoise. I hope y’all enjoyed them, Stephanie!